There was no one book that turned me into a reader. There were hundreds. It is impossible to imagine any book without thinking about how it found me. Back in first grade, my parents embarked on a rocky divorce. In its aftermath, my life began to shift in hugely unexpected ways. Around this time, my grandfather, Papa, was my beam of light. He challenged me to turn every word into an anagram or acrostic, taught me how to rhyme and make bad jokes. Papa whisked me off in his Ford truck and told me stories along the way. He got me my first library card. I can still remember the joy as I wrote my name in cursive on the back. Papa took me to the stationery store to get it laminated. Once I got that card, I ate books for breakfast, lunch, and dinner. Every summer three years running, I won the reading contest sponsored by the library (with the best prize of all–a book!). I made a bunch of new pals: Encyclopedia Brown, Nancy Drew and Laura Ingalls Wilder were my favorites. I liked characters from series’ because I could be reunited with them again and again, in book after book. Soon, I discovered biographies of real, famous people, and was wowed in particular by the tale of Helen Keller. I read anything I could find about her and Annie Sullivan, her teacher, and was convinced that my destiny was to be a teacher of the deaf. No, I didn’t end up following that dream, but it was a story, a book that moved my innermost desire. I believe that books find us rather than the other way around. 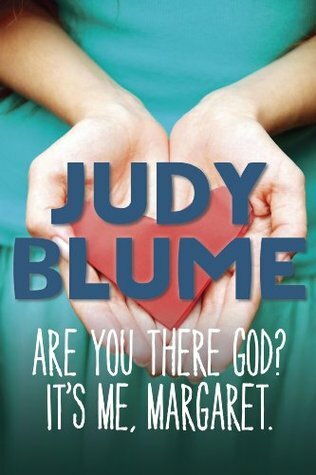 After years of reading whatever I could, I found myself face-to-face with my first-ever Judy Blume book, Are You There, God? It’s Me, Margaret. Without a doubt, that is the milestone book for me. It didn’t make me a reader—but it locked me into reading for a lifetime. I’d been digesting hundreds of books before it, nothing hit a nerve inside of me quite like Blume did. I know so many of my peers credit her with giving them a gift—her style of narrative changed children’s books forever. For me, like so many, Margaret Simon guided me towards a life as a writer. 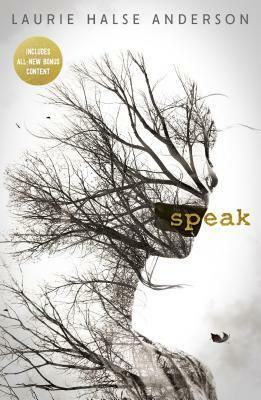 Margaret’s constant questioning, confusion, insistence, and curiosity gave me the courage to lay myself bare, too. I wrote about everything that was going on inside of me, filling black composition notebooks, flowered journals, and yellow legal pads with ideas, doodles, and true confessions. I turned to my portable cassette recorder and read parts of Blume’s book aloud—and then acted out scenes of my own invention. And when I had the opportunity, years afterwards, to interview Blume briefly for a freelance project, I had an impossible, overwhelming reaction. At the conclusion of our straightforward conversation, I hung up the telephone and began to sob. One book can change a life forever because books possess a very real kind of power. It’s as simple–and as overwhelmingly powerful–as that. Laura Dower worked in marketing and editorial in children’s publishing before writing full-time. She is author of over 90 books. Her most popular series is From the Files of Madison Finn, which will have a new book, Madison Finn: Back Online, published in 2016 by Open Road Media.